I have bile reflux. It is when the bile – a digestive liquid produced in the liver — backs up or refluxes into the stomach and the esophagus. The experience can be real painful and uncomfortable, causing me to feel intense heartburn. To avoid sudden attracts, I need to eat small yet frequent meals based on whole grains, vegetables, and fruit. It would help, too, if I munch on biscuits every so often just to tame my stomach. Thus, I always have with me a pack or two of biscuits or cookies. And my favorites are anything with mint. I also love those cookies with macadamia nuts, cream cheese, and chocolate chips. Speaking of cookies, I love my cookies chewy and soft. I need not worry about crumbs. They are best paired with a tea, hot or cold would do. A visit to a mall and bringing home a box or jar of cookies is but usual. If I don’t have my regular fix of cookies, I order online from my favorite brand. Let me share with you why its a favorite. Most would certainly love something edible because it is delicious. My favorite cookie is scrumptious. It is divine. Or perhaps heavenly. Every bite, you would truly find yourself closing your eyes to savor its aroma, taste, and texture. 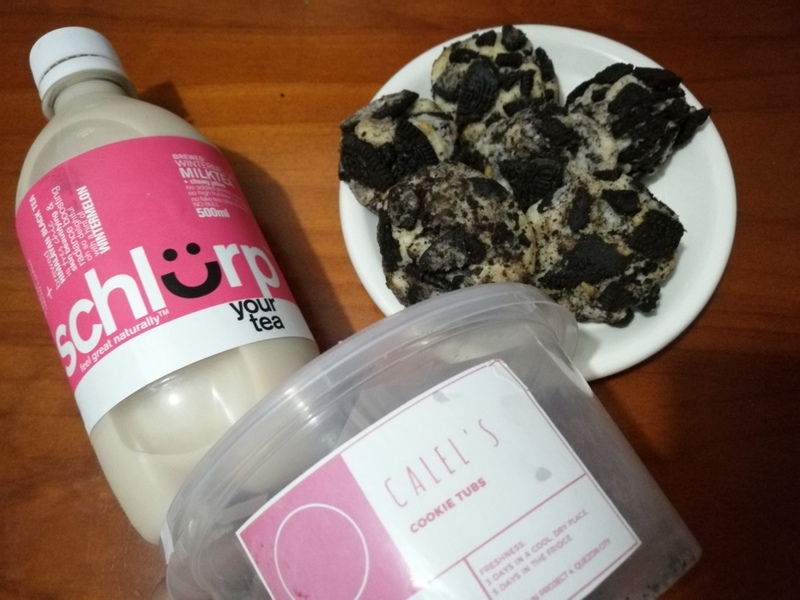 Its little pieces of chewy black cookies wrapped in heavy cream are what excites my tongue to savor each bite. Its rich creamy flavor isn’t too overpowering, you wouldn’t even notice you’ve consumed the whole tub. And because eating is also about the sense of smell, nothing beats the delicious aroma of the freshly baked cookies. My favorite cookies are also my boys’ favorite. When our two tubs were delivered that day, the cookies literally didn’t stay for five minutes. They were gone even before I could even tell the boys to leave at least a piece for their mom. Good thing it was I who received the package and I secretly wolfed down one piece. Sad I only took one. Our favorite cookie is Calel’s Cookie Tubs. It started as Mamanee’s Made With Love because of her passion to bake and to be with her kids at the same time. Her baked goods are genuinely home made because these are baked in her kitchen oven in Quezon City. 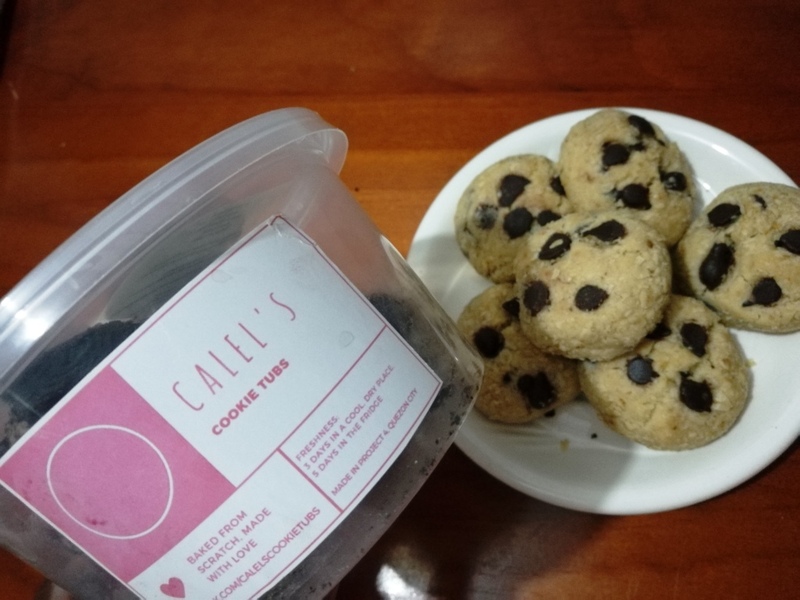 It was late last year when they rebranded and changed the name of their cookie business to Calel’s Cookie Tubs. Calel is Mamanee and her husband’s Papatin’s son who has autism. Everything they earn from the Calel’s Cookie Tubs business is used for the little man’s Occupational Therapy, Speech Therapy, and SPED school needs. Thus, imagine that each cookie is special as it is made with and for love. 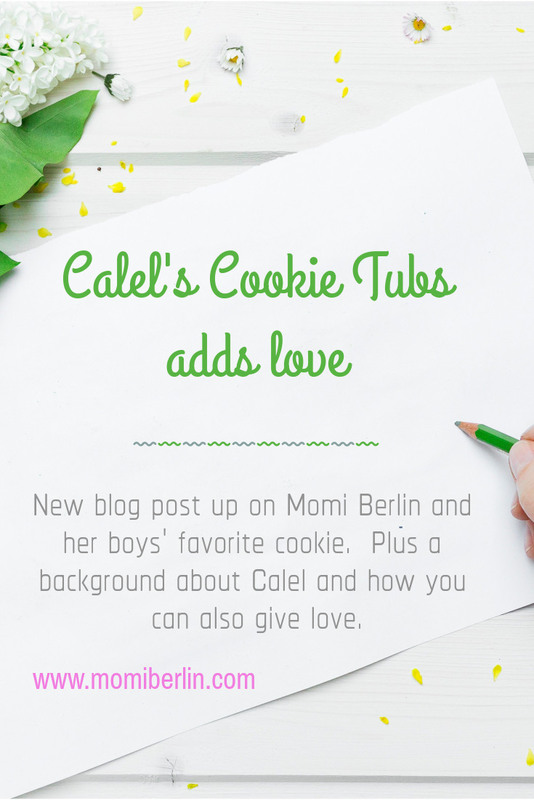 That perhaps what makes Calel’s Cookie Tubs truly special, extra rich in flavor, and exceptionally delectable – the added ingredient called love. Grab your own tub now. You would surely find each cookie delightful, too, plus help Calel experience more love from you and his parents. No wonder why the name Calel is familiar! Yun pala yung anak ni Mamanee. Your photos make my mouth water. I haven’t eaten a cookie for quite a while now! lol. Our entire family loves cookies. The ones from Calel’s Cookie Tub really looks so delicious! I’m sure we’d also be able to empty a whole tub in less than 5 minutes too. Would love to try them.